There is actually a singular form of "kleren", that is "kleer", but you will only see it in compounds (see Related words). In such compounds, "kleer" can also be replaced by "kleren". The closely related word "kleding" translates to "clothing" and it’s application is similar to that of "clothing". – "De nieuwe kleren van de keizer." – "Ik ga dit weekend nieuwe kleren kopen, het is uitverkoop!" – "Ik ga de was doen. Heb jij nog kleren die gewassen moeten worden?" – "Het is niet verplicht om nette kleren te dragen." – "Mijn klerenkast puilt uit met kleren!" – "Kleren maken de man": the tailor makes the man. – "Iemand de kleren van het lijf vragen": literally "ask somebody the clothes of his/her body", used for excessive/nosy questioning by somebody but not necessarily negative. – "Makkelijk uit de kleren gaan": to be easy (sexually), literally "to go out the clothes easily". – "Klerenkast": wardrobe, closet. Lit. : "clothes closet". Note that this word is also informally used for over-muscular men, typically bouncers or male gym/fitness fanatics. – "Garderobekast": fancier word for "klerenkast" ("garderobe" translates to "wardrobe"). – "Kleertjes": plural diminutive of "kleer" used for baby/toddler clothes. 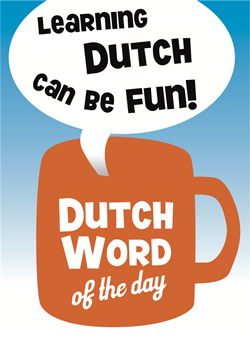 You might hear Dutch people say "klere" as an adjective. This has nothing to do with clothes and is actually a term of abuse used in compounds. It is a synonym for "kolere" or "cholera".